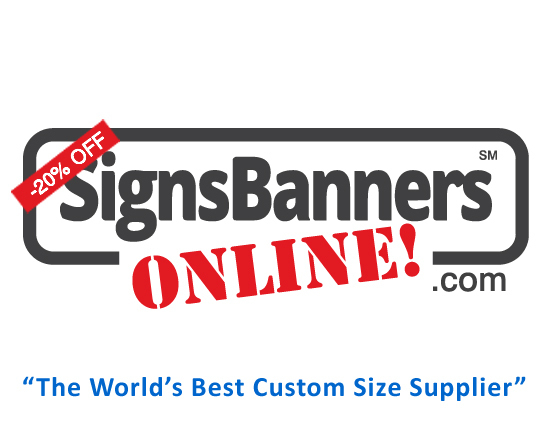 Signs Banners Online help customers in many ways, discounted printing, banner sign design, custom manufacturing, fabric, vinyl, scrim, setting up files and... sound advice. Quick, Easy Communication that works! We're available for communication throughout all processes and stages of your order. Choose your best type of communication and lets get started. Starting A quick phone call, live chat or email will get you started. We will assist you with prices, artwork, scheduling, setup and producing graphics that suits you. We do it for you - Planning If you dont know exact requirements for your banner, dont worry, we are the experts having made over 10000 banners so far. We guide you through products for your display needs and show you previews pre-production. We do it for you - Prices We can show you prices, discounts and special offers available to suit your requirements and needs. We're ready to help anytime. We do it for you - Artwork If you need artwork assistance we can set this up for you. We give you artwork previews for your approval prior to production allowing you time for changes, updates or slight adjustments suited to your custom needs. We do it for you - Ordering We prepare your online order for you, It's as easy as clicking approve and pay. Printing begins. We do it for you - Quality Hassle free, worry free. A team of professional designers look after every aspect. We do it for you - Updates Stage by stage updates. You can watch as your order progresses from start to finish. Do-It-Yourself Video Help, Easy Template Maker - Free Setup, Free Upload, Free Instant Preview, Free Autochecks. We do it for you Setup - $1 artwork , Small Setup, Complex Setup. The design department can also help you compose and generate orders. Trim Bleed Trim Bleed is a term we DONT USE. All fabric and vinyl banners require Material Over Size (Fold over bleed). If you're unsure how to do this. Please contact us and we'll do it for you. We do it for you Specifications and how to's. We understand banners so you dont need to worry about specifics, we do it for you. We can assist you receiving the lowest prices, material selection and scheduling. With lots of experience on hand, we'll help you get your project made. Do-It-Yourself Order & Upload Calculator - Printable quotes, online prices, Start order to upload. We do it for you Find the lowest price, customize manufacturing, find best discounts, Start to Finish services. Need a little help choosing a vinyl banner or fabric expo, selecting grommet eyelets or pole pocket sizes? We're here to help. Fittings, Options Factory support team experienced with parts and uses for your needs.